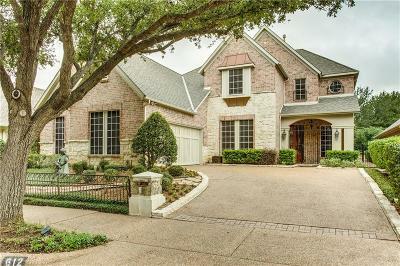 612 Regency Crossing, Southlake, TX.| MLS# 14006277 | Simply Smart Realty Group | No Listing Commission. Flat Fee. Beautifully appointed, open floor plan situated on greenbelt. ENERGY EFFICIENT $$$ w solar panels, radiant barrier, solar attic fans, solar screens, 50 yr class 4 roof, backup generator. Whole house Water filtration sys and Air Filtration sys. Hand-scraped hardwoods, granite, wired cameras, plantation shutters, fountain. Main level has Master Suite, Study, Formal Living, Formal Dining, large Family Room w custom built-ins, fireplace. 2nd level has 3 beds, 2 full baths, PLUS Flex Room with 13' of closet space, could be media, exercise, craft, etc, AND has a walkway through the attic to the approx 21' x 16' CLIMATE CONTROLLED STORAGE ROOM. Ready now to enjoy the blooms of spring!